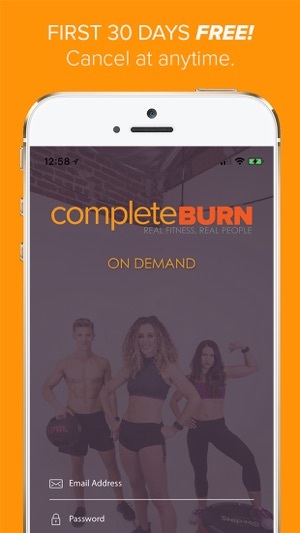 Accessible workouts created by Fitness Professional Leah Purcell, completeBURN is the only fitness app designed with REAL PEOPLE in mind. Choose from our many comprehensive workout programs. Whether you are just starting out or a fitness pro, there’s a quick efficient workout for you! These workouts include bodyweight and weighted High Intensity Interval Training, Yoga, Agility, Strength Training and Core Conditioning. That’s right, you don’t need to be a fitness fanatic to get stronger and get the results you have always wanted. There are no gimmicks here! From the stay-at-home mom to the traveling professional try us for 30 days FREE! - Push Notifications will notify users of BONUS workouts. *WiFi RECOMMENDED to Stream Videos. However if you choose to use data to Stream Videos, heavy data usage may result in additional charges based on your carrier. Once you create an account we offer your first 30 days for FREE! 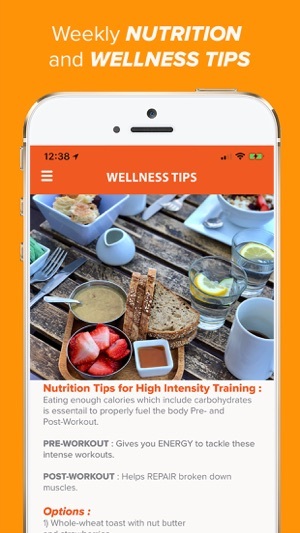 After that your subscription will auto-renew at $7.99 per month basis for the use on the app and its workout programs. We've added more programs and videos for our members as well as wellness/nutrition page. "I'm a new mom, prior to my son being born I always loved going to the gym. Now it seems near impossible to get there, especially after being gone at work all day. Thankfully I can now get the same caliber workout with much greater variety AND I don't have to leave my house! Not to mention it's cheaper than any gym membership I've had." 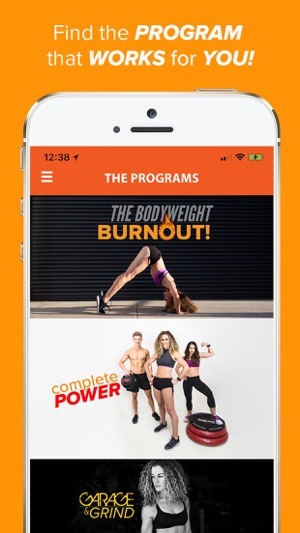 "Feel the burn, from the comfort of your own home "
Great, comprehensive exercise app. A lot of the marketing seems directed at women losing weight, but as guy more interested in building muscle it has plenty for me to do as well. And they're adding more content pretty regularly. © COMPLETE BURN FITNESS, INC.